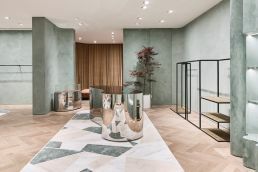 Just in time for the holiday season, Australian luxury brand CAMILLA AND MARC will open its new Flagship boutique at Westfield Bondi Junction on Thursday 5th December. In honour of the opening, and CAMILLA AND MARC’s dedication to empowering women through design, the brand has launched an exclusive collaboration with artist George Raftopoulos, “Be a Goddess. Be You.” The message first appeared on billboards around Sydney in the lead up to the opening, and will also appear on limited edition t-shirts, sold exclusively at the Bondi Junction boutique. Each T-shirt is signed by the artist and has its own unique “Be a Goddess. Be You” artwork created using a combination of spray paint and pen artistry. George’s art will also adorn the windows of the boutique throughout the opening week. 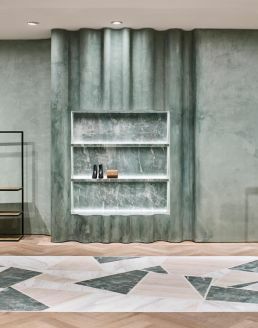 Custom green Marmorino render is used through the store, amplifying the modern, yet classic creative direction of the CAMILLA AND MARC brand. Black steel fixtures with new Italian Nubuck leather shelving serve as hanging and display use. 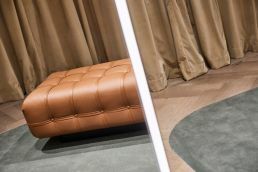 Fitting rooms are fitted with luxurious Maharam’s velvet curtains and Nicos Zographos leather lounge chairs & bench seats used to create a residential tone. 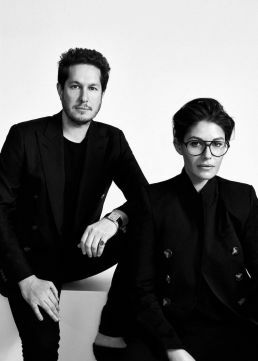 All design elements speak to the principles of the CAMILLA AND MARC brand, upholding qualities of timeless style, design innovation and impeccability across every detail. 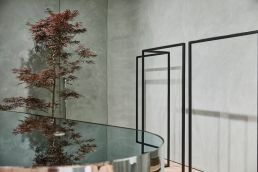 Once again working with acclaimed designer, Kelvin Ho from Akin Atelier, the store continues to be an extension of both founders, Camilla and Marc’s, innate love of architecture and design. The project’s realisation is personal for both Camilla Freeman-Topper and Marc Freeman, having both grown up in the locality, they have desired to open a store in precinct for some time. The opportunity to open at Westfield Bondi junction was poignant and timely, completing the brand’s 15th anniversary year. CAMILLA AND MARC Bondi at Westfield Bondi Junction marks the brands eleventh boutique in Australia, and third boutique opening for the brand in 2018. The boutique will showcase the complete ready-to-wear and C&M collections, featuring their coveted eyewear, accessories and kidswear range.